After a day on the ski slopes in Vermont, this journalist recently overheard a lively conversation at the next table wherein several people were boasting about their smart thermostats. Over an après-ski beer, two generations of a family had their iPhones out and were comparing the apps that go with their wireless smart thermostats. That exchange sums up what’s happening in home energy management these days. Make no mistake about it -- there’s a revolution afoot. Thermostats have become cocktail-party chitchat fodder, and in some regions, residential demand response has become a necessary part of the demand response strategy, and not just a footnote. For those programs, it’s not your grandma’s one-way radio that turns off an air conditioner for hours on end. Consumer energy management is a hot topic in utility circles as shaving peak load becomes increasingly important, and some of the lowest-hanging fruit in the commercial and industrial sector has been tapped for demand response. But many utilities are still hesitant about how deep they want to reach into a customer’s home. Despite the hesitation, others are running full steam ahead. At Sacramento Municipal Utility District, one of the goals of smart meters has always been to facilitate a move to dynamic pricing. A current pilot has tens of thousands of customers, not hundreds, and the result will be nothing short of a new way of doing business with residential customers. 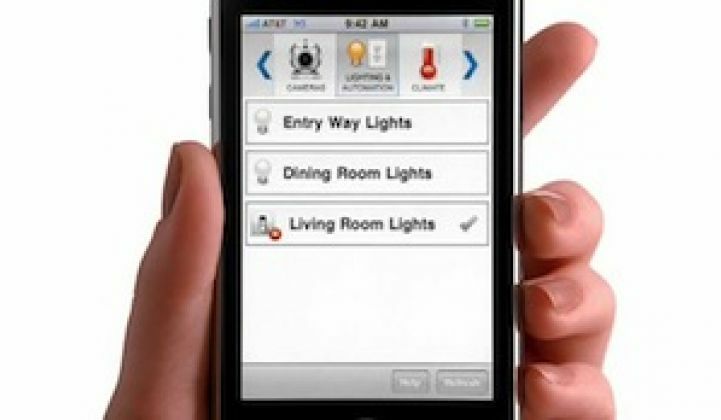 Farther north in Portland, Ore., Portland General Electric will be testing out a new smart grid home appliance standard with employee water heaters. The utility, which is also part of the Pacific Northwest Demonstration Project and has deployed smart meters, is also adding increased capabilities to its customer portal, EnergyTracker, which is built by Aclara. “What we learned in 2003 is that in-home displays are nearly worthless to create energy efficiency, but they can serve in an educational role," said Conrad Eustis from Portland General Electric Company. New programs require not only new ways to reach into the home, whether Wi-Fi, ZigBee, Z-Wave or broadband, but also seemingly endless hours on the backend to integrate legacy systems with new platforms. For those offering solutions to utilities, such as Tendril, AlertMe, EcoFactor, Simple Energy and EnergyHub, there is a never-ending carousel of options. Whether it’s leveraging smart thermostats that customers have already bought at a big-box store, or telecom providers like Comcast getting into the home energy game, or the game-ifcation of energy management, there are a variety of options available to utilities -- and their customers -- of different shapes and sizes. One of the problems is figuring out who that "everyone" is, however. Some utilities are ahead of the curve, with lots of segmentation amongst the customer classes. For others, there is a lot of work yet to be done to tease out what drives different types of consumers. To deploy the right messages to the right people, segmentation is increasingly important, as studies from the Smart Grid Consumer Collaborative have shown. At Greentech Media’s Networked Grid conference to be held March 19-21, join Elisabeth Brinton of SMUD and Conrad Eustis from Portland General Electric Company along with Seth Frader-Thompson of EnergyHub, Roy Johnson of EcoFactor and Yoav Lurie of Simple Energy to talk about the challenges and promises of some of the latest methods utilities are using to reach, and impact, residential customers.